NORMAN, Okla. (KFOR) -- A woman is wanted for giving marijuana and booze to developmentally disabled people in her care. Lynndia Allred is charged with three counts of neglect by a caretaker. According to court documents, Allred brought three people she was supposed to be caring for at a group home to her apartment in Norman. The affidavit states the weekend trip turned into something more like a party. Two of the group home members told investigators they "drank beer and smoked marijuana with Allred." News 4 talked to Christina Chicoraske, the executive director of Among Friends. She works with adults who have developmental disabilities. "If you're working with people with developmental disabilities, then a lot of times they're functioning at a 6-year-old level, or a 16-year-old level," she said. Police are searching for an Oklahoma woman accused of giving marijuana and alcohol to developmentally disabled people in her care. It's a functional capacity she said would make it easy for someone to take advantage of them. "May not have the intellectual or emotional capacity to make smart choices when it comes to maybe having that intuition or that gut when it comes to those experiences," she said. Chicoraske also worries that some of those involved may have been on medication that could be dangerous if mixed with drugs or alcohol. "That could counteract a lot of what they're doing if they're taking diabetes medication, or some people with disabilities also have mental health issues so they're taking anti-psychotics," Chicoraske said. 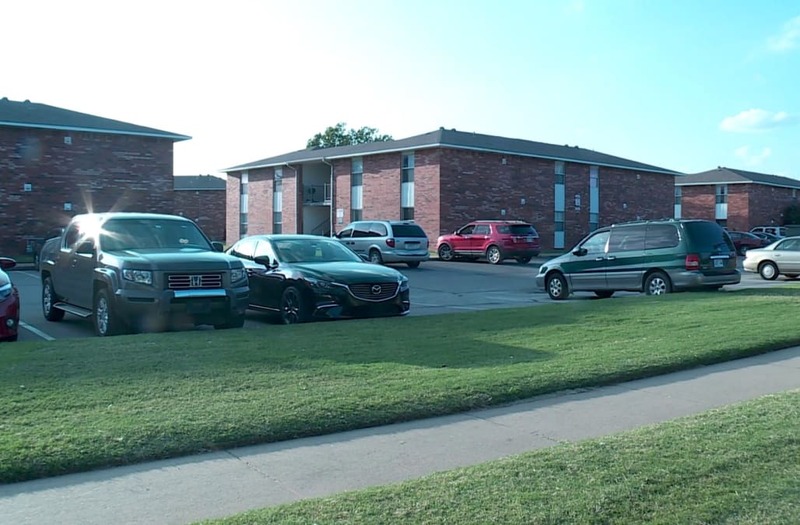 News 4 went to the apartment and knocked on the door where police say the crime happened. Lynndia Allred wasn't there. In fact, she had apparently been evicted. The company she worked for, Dungarvin, runs group homes in 14 states, including Oklahoma. A spokesperson declined to comment on the story due to HIPPA laws. They would not say if she is still employed by Dungarvin. An employee did say the company began investigating the incident before DHS, and it has cooperated fully with the state's investigation.